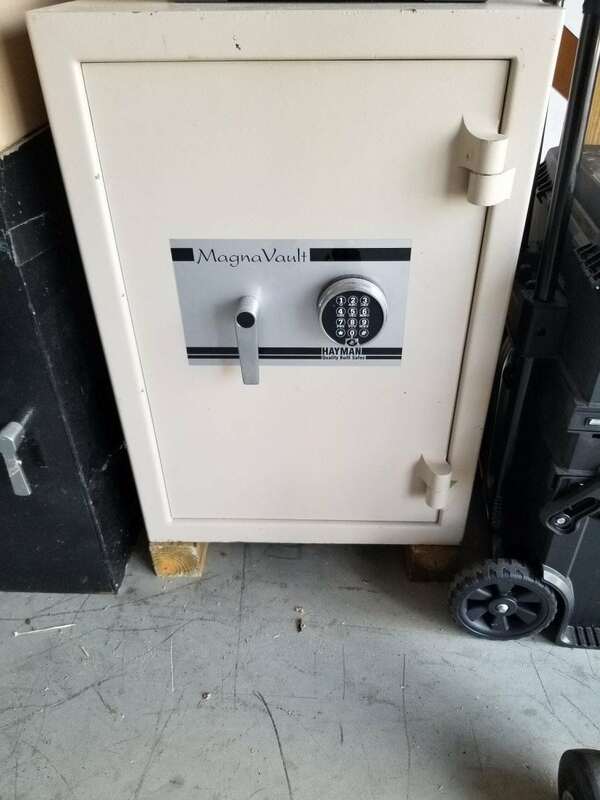 This safe is a very good deal. Brand new this safe will cost around $2300 from our shop. You could get this gem for half of that and it’s in great condition. 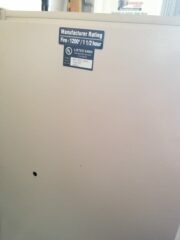 Fire rated and burglary rated. 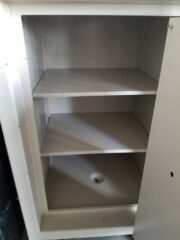 One bolt hole in the middle for securing to the floor. 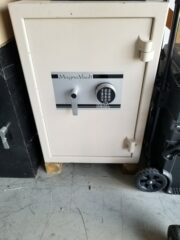 Come in and get this safe while it’s still here this is a steal, and once it gets secured in your home or business it will be close to impossible for it to ever be a steal again. Ext. Dimensions: 34" X 23.5" X 23.5"
Int. Dimensions: 30" X 19.5" X 18.5"
Price: $1150.00 Approximately 800 lbs.